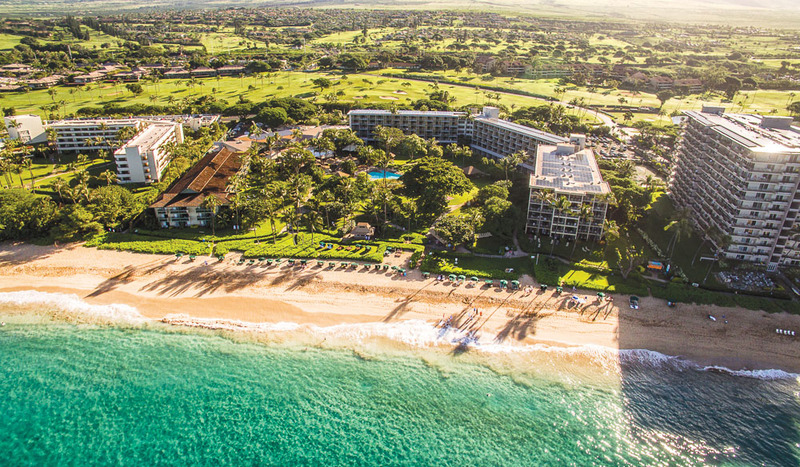 The 432-room Kā‘anapali Beach Hotel is set on a majestic five-kilometre stretch of sandy beach along the sunny western shores of Maui, making it an ideal setting for a memorable Hawaiian experience. A variety of free, family-friendly cultural activities cements its official status as Hawai‘i’s Most Hawaiian Hotel; immerse yourself in their sunset hula show, live Hawaiian entertainment, hula and ukulele lessons, lei-making, cultural garden tours, lauhala leaf weaving and pineapple cutting. Romantic and enchanting, the hotel is the perfect Maui getaway for couples. However, for those travelling as a family, the true highlight is that kids aged up to 17 stay free. With oceanfront Family Suites that sleep five, and a free year-round Aloha Passport for the kids, Kā’anapali Beach Hotel provides a family-friendly, value-packed experience. 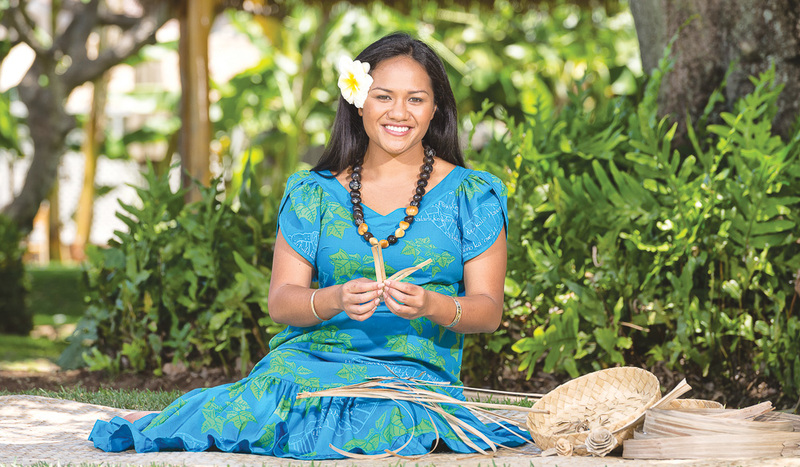 Daily Hawaiian activities are complimentary, from ukulele lessons to hula dancing, Hawaiian net-throwing and more, providing a wonderful way to play and learn about local culture, meet fellow travellers and get acquainted with the hotel’s ohana family. Each guest is then given a special kukui nut lei at the end of their stay, to add a new white nut upon it when they return. 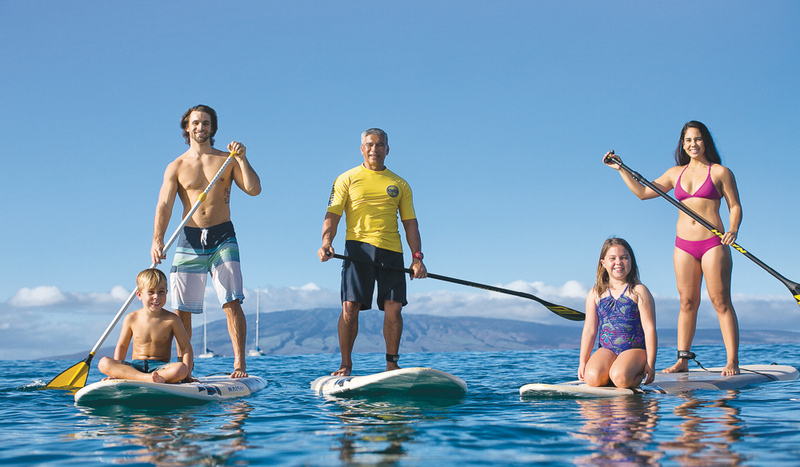 The water activity centre, Hale Huakai Beach Activity Center is open daily to start your ocean journey. 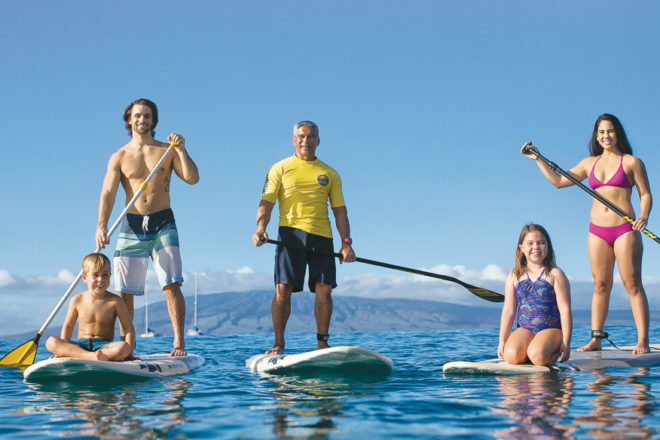 Staff add their Hawaiian perspective to popular ocean activities such as surfing, stand-up paddleboarding, snorkelling, and conch-shell blowing. You’ll come away with a better understanding of how the ancient Hawaiians immersed themselves within their surrounding environment. Enjoy regional cuisine by executive chef Tom Muromoto, a former pro surfer turned chef, at Tiki Terrace restaurant and the Legends of Kā‘anapali Luau. After travelling the globe for many years, it is obvious that Muromoto’s love for food and culture shines through his culinary creations, with delicious breakfast or dinner options at Tiki Terrace, or the Grab N Go all day. The ever popular Tiki Bar and Tiki Grill will also tempt you.